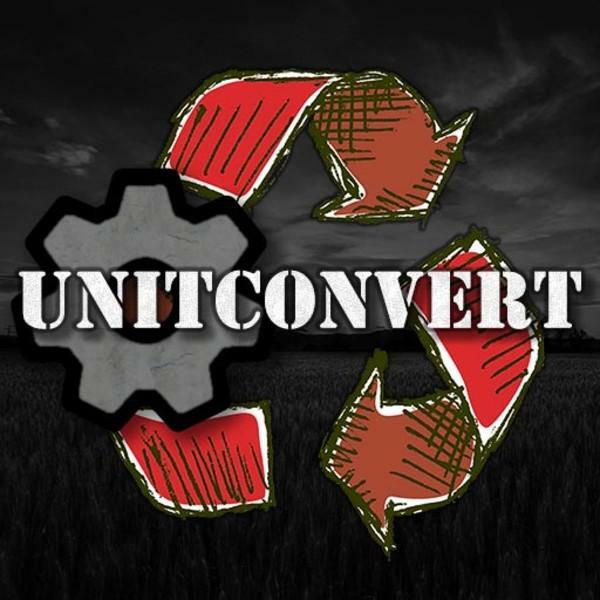 UnitConvert allows Farming Simulator 17 to display custom units of measurement. The inner workings of the game are unchanged. UnitConvert only changes what you see. The menu system works as follows: To open the menu, press left-alt + U. Once the menu is opened, you can navigate around it by using the arrow keys. To change menu pages, press left-ctrl + left or right arrow. Unit selection is done by pressing left-shift + left or right arrow. To synchronize all unit groups to the currently selected unit, press right-ctrl (special function key). Further controls and instructions can be found in the help section of the in-game menu under UnitConvert. – Changed “Storage Capacity” to “Silo Capacity” on statistics screen. – Moved DriveControl nearest neighbor display. – New third party mod support system added. – UnitConvert now works with the Farming Tablet mod. – Mass factor is now working correctly. – Fuel usage display now works correctly in multiplayer. – Yield display now works correctly in multiplayer. – Yield display can be toggled between “vehicle”, “price” and “off”. – Adding a unitConvert.xml file to the base folder of your map allows adding/changing any value. – Editing the configs/unitConvert_.xml file allows you to add/change any value. – Fill type groups are now displayed in the UnitConvert menu. – UnitConvert now works with the GPS mod. – Fixed bug where new fill types weren’t saving their configuration. – Added help (readme.txt) to the in-game menu. – Added ability for modders to add UnitConvert data to their mods/maps. – Unit precision is now adjustable via the UnitConvert menu. – Mass factor is now adjustable via the UnitConvert menu. – Fill type categories have been replaced by fill type groups (internal). – Fill type group priority adjustable via the UnitConvert menu. – UnitConvert menu now scrolls, supporting large lists. – Weights can now be displayed anywhere. – Fill type names are now displayed on prices screen. – Fill type names are now displayed on the vehicle hud. Your custom settings are saved on the fly, and are universal. The settings file is located in your Farming Simulator profile directory in a file called unitConvert.xml. To reset your values, simply delete this file.